The Hogeg Blockchain Research Institute will be established in the framework of the Coller School of Management at Tel Aviv University (TAU). The driving force behind the institute is businessman Moshe Hogeg, who generously donated NIS 7 million to make it possible. 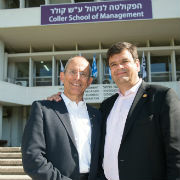 Prof. Dan Amiram, Vice Dean of the Coller School of Management, has been appointed as Head of the Institute, while Dr. Jacob Mendel will serve as its Director. Hogeg serves as Chairman of VC fund, Singulariteam, an Israeli high-tech investment fund with a portfolio of dozens of companies, including Telegram. He is CEO of the smartphone company, Sirin Labs, one of the fund’s flagship companies, and was one of the first investors in Storedot, which is engaged in the development of innovative batteries for electric cars. 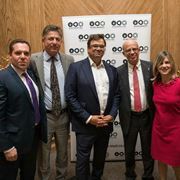 The fund's crypto company, a Blockchain hub called Alignment, has secured over $600 million in financing over of the past year.